Just Create: What Makes You Beautiful Speech Balloons? 1. You get a plot from a writer/co-writer. In which case, you won't know the exact dialogue ahead of time. 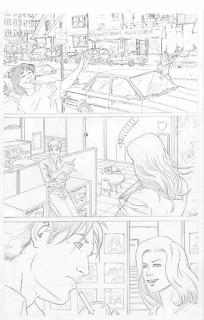 Typically when you do your art you should leave about a third of the panel space at top for word balloons. That doesn't mean you leave empty space, it means you compose your scene so no vital information gets covered.You want to make your lettered page beautiful. 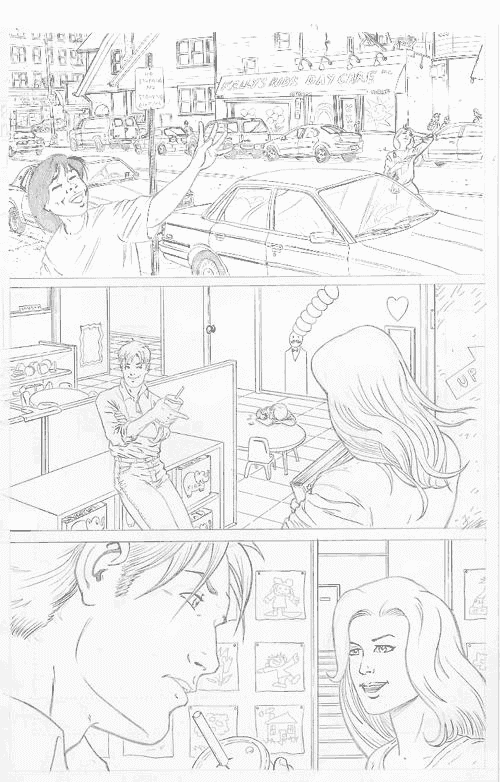 Here's a couple of pages I did from a plot. You can see that I've mostly left space at the top of the panels. Panel 3 is a little tight above her head. Panel 2 is tight above their heads, however there is plenty of space on each side as an alternative. 2. You get a full script from a writer/co-writer. Now you do have the dialogue and captions. 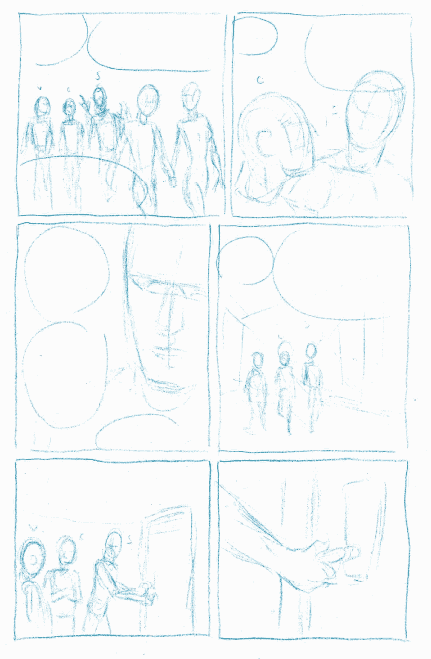 Now you can immediately consider the balloon placement when you do your thumbnails and layouts. 3. You are writing this yourself. Now you do know the dialogue and captions and most likely you keep changing it as you go along. Creative people… sheesh! In any case you are still considering the whole page design with the balloons. 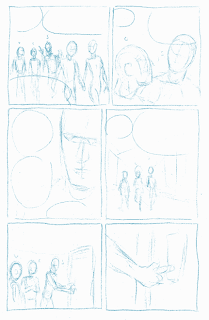 There may not be a written script, as some artists start conceiving the story while they do their thumbnails. Which is what I do when I do the thumbnails. I've included approximate balloon placements in my page design.